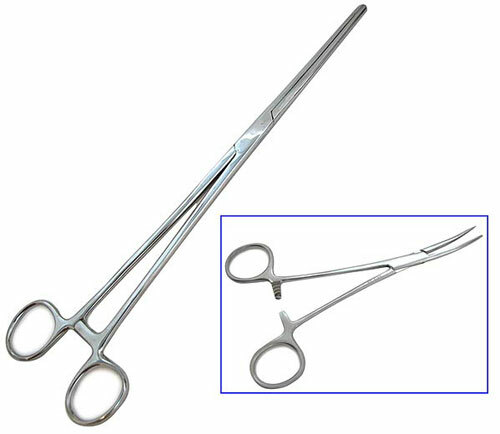 Our humongotweezer special is a twofer: (1) pair of straight steel tweezers at 12" long and another pair, the same, but with a 30-degree curve at the business end--both with smooth, un-grooved tips. 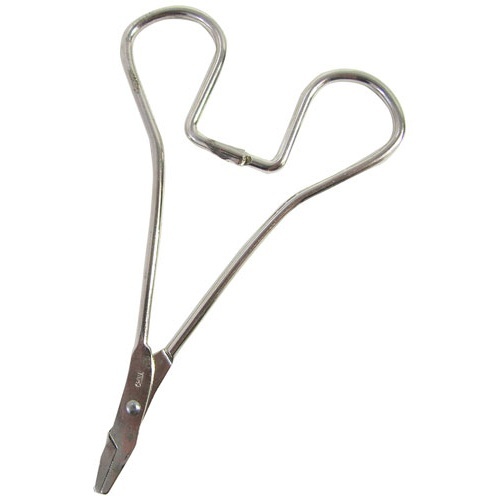 Great for lab work or delicate grilling operations. And then give us a little tweeze, and a couple more for luck. 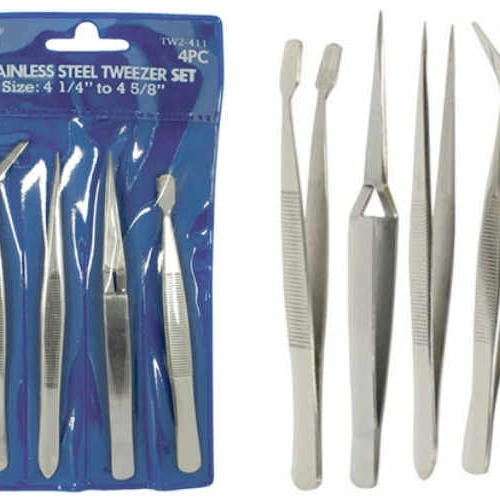 Our 4-piece stainless steel tweezer set includes: 4-5/8" long bent tweezers; 4-1/2” fine point; 4-5/8” cross-locks; and 4-1/4” blunt-tip stamp tweezers with 1/4” wide tips for you philatelists. Gadgeteers, get out your charge card. This is an instrument you absolutely have to own. It reaches down below sofa cushions, inside piggy banks, into fish tanks, and past a gallbladder. Not simultaneously, of course. 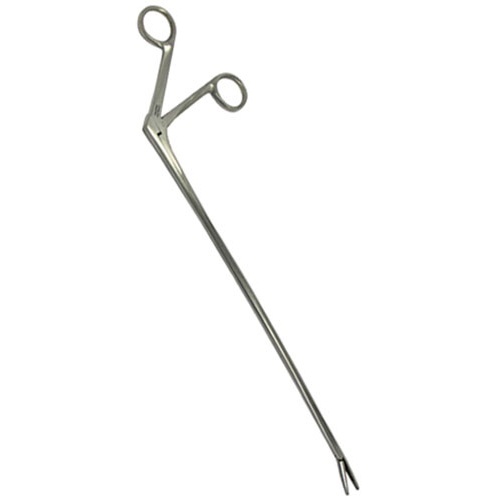 The slim stainless steel alligator forceps is 11" long OA, with a 2-1/2" angled handle and an 8-1/2" reach. 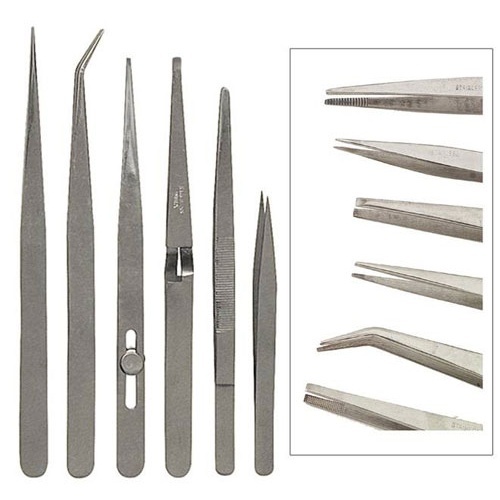 It has small 5/8" long serrated jaws, delicate but tight, at the very tip! Better buy an extra. We guarantee people are going to "borrow" these if they see them. No autoclave machine? Worry not. Like syringes and half of the medical equipment in the world, scalpels are now disposable. 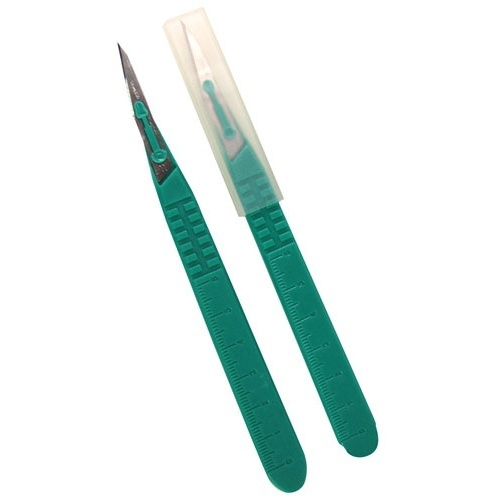 This one is 5-3/4" long and has a green plastic handle with a textured grip (with a 60mm rule on it) and a #11 (that’s pointy, for you non-surgeons) stainless steel blade. Perfect for all your hobbyist needs. Please replace the blade guard before disposal. 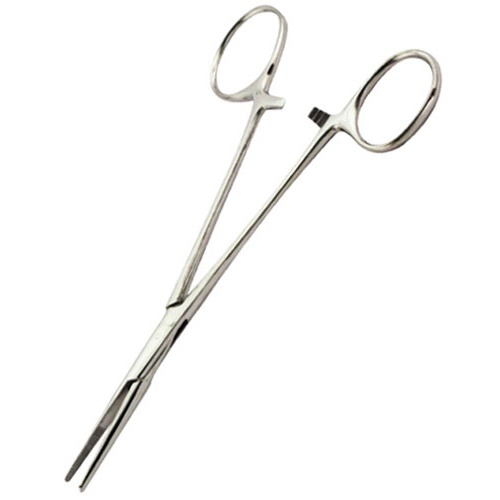 You pick from our straight or curved locking-jaw forceps, both with rubber-dipped handles and jaws for extra-gentle applications. Measure 5-1/2" long with 1-1/4" long jaws. 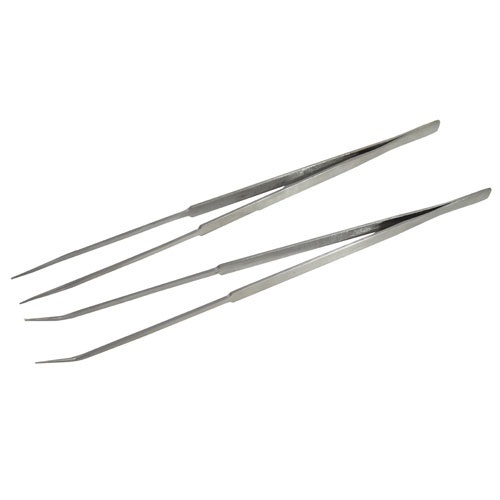 These're pleasing tweezers, these are. 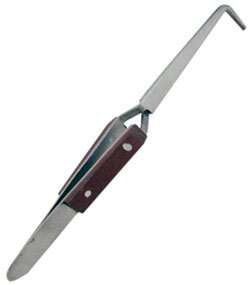 They're clever cross-lock tweezers, 6" long with wood-grain grips and 1/2" long, serrated 90° jaws that grip tightly. The handy cross-locks will lay flat on their backs to hold stuff, like wires, while you solder. 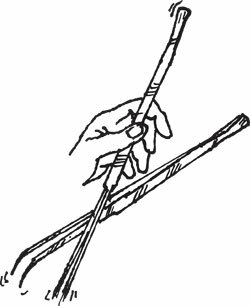 A variety of shapes and ugliness, though no unbroken tips. Some single ended, some double. Super for all manner of hobbyism, except for do-it-yourself-dentistry. Excellent price in today's weakened dollar market. All stainless steel. 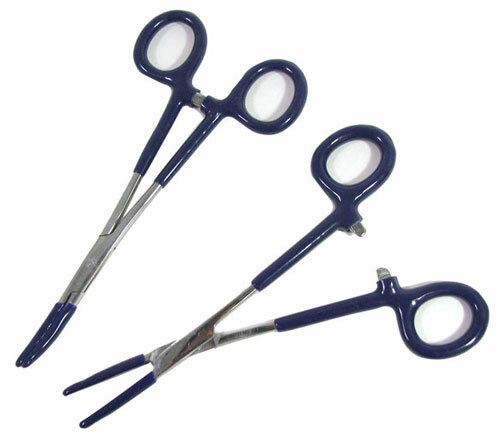 For those little surgical jobs: little forceps. 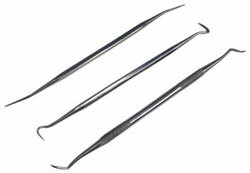 Try these 3-1/2" long stainless steel straight forceps with 3/4" long striated jaws. Lock positions: "Tight" and "Yikes!"